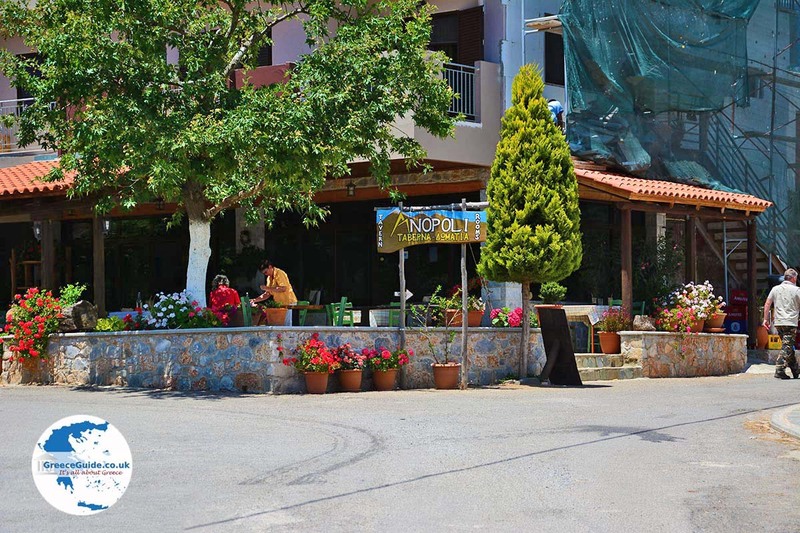 Anopolis. 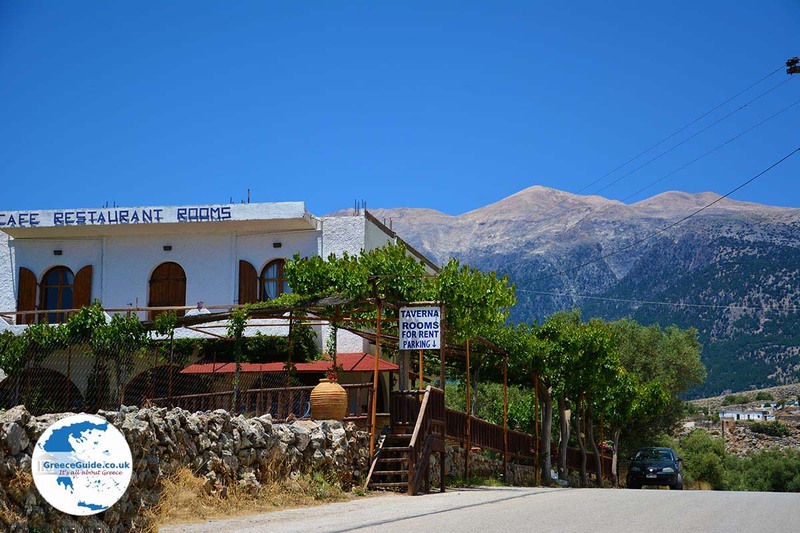 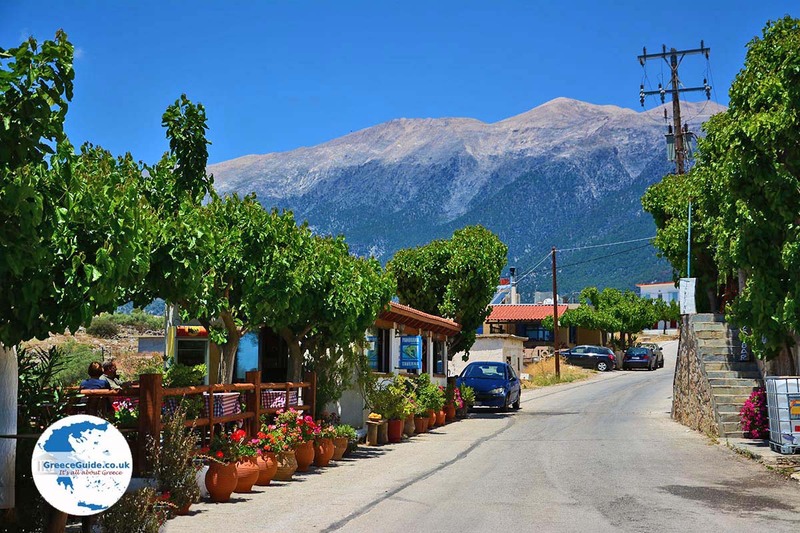 Anopolis is a historic village in Crete, in the south of the White Mountains (Lefka Ori) and with an excellent view to the Libyan sea. 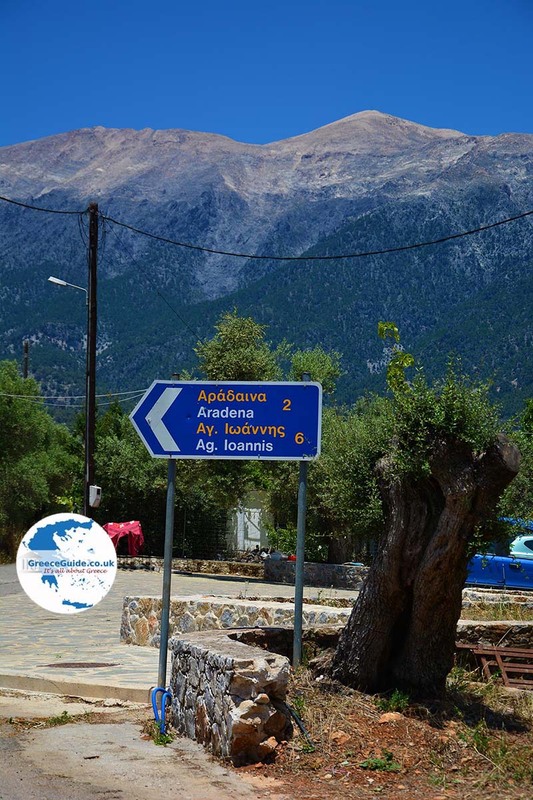 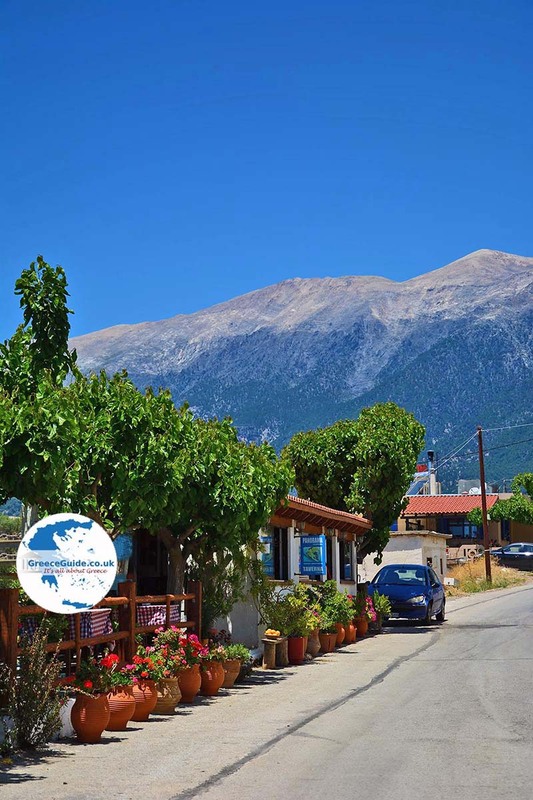 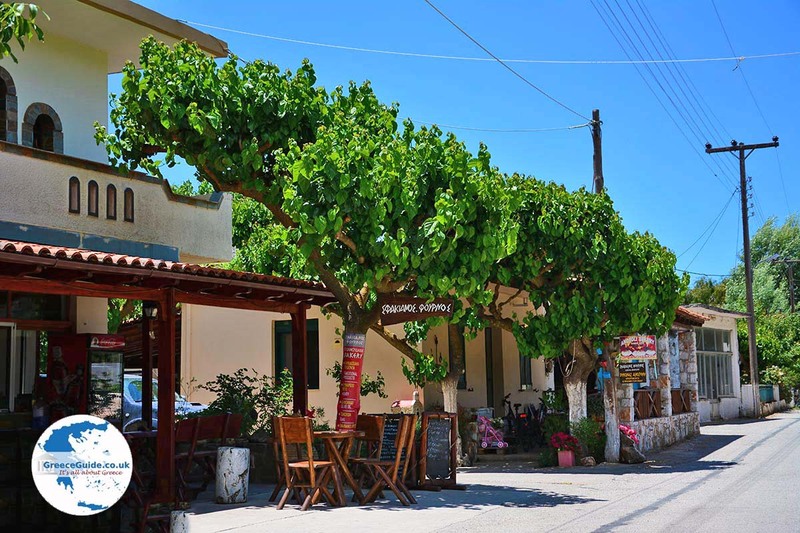 Anopolis is located approximately 80 kilometers (49 miles) south of Chania town, it is a small mountain village situated on a fertile plateau, south of the huge Mountains. 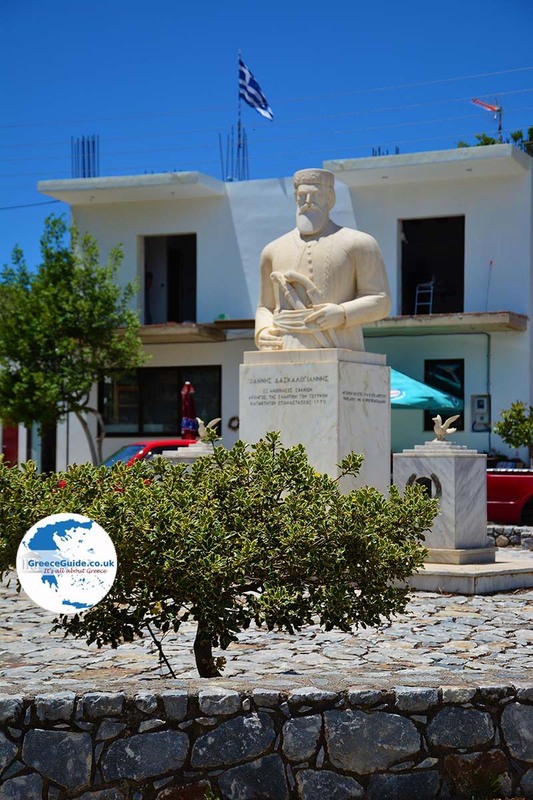 The main attractions of the area, are the ancient remains of the "Old Anopolis", here are ancient Roman walls and graves located. 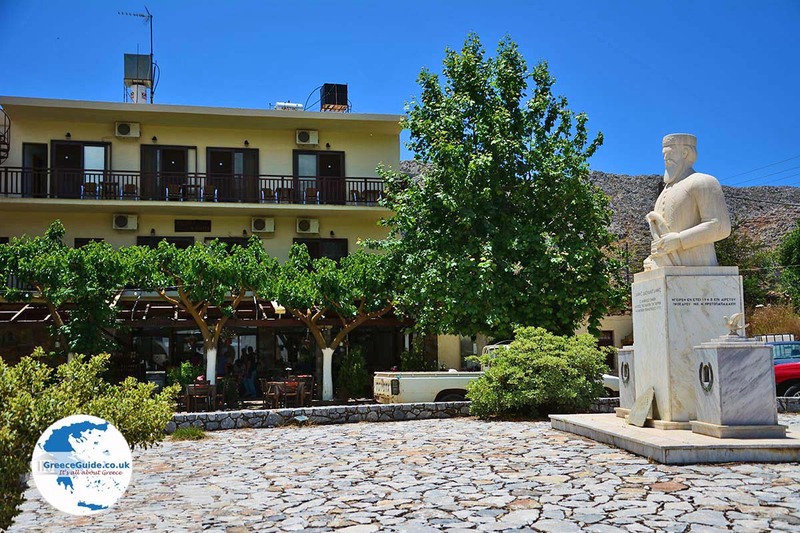 Here is also the church of Agia Ekaterini. In Venetian times and during the Turkish occupation it played a key role in the uprisings against the enemies. 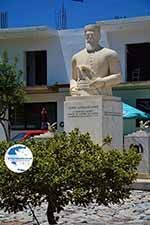 In 1770 the Turks completely destroyed Anopolis after the rebellion led by Daskalogiannis. 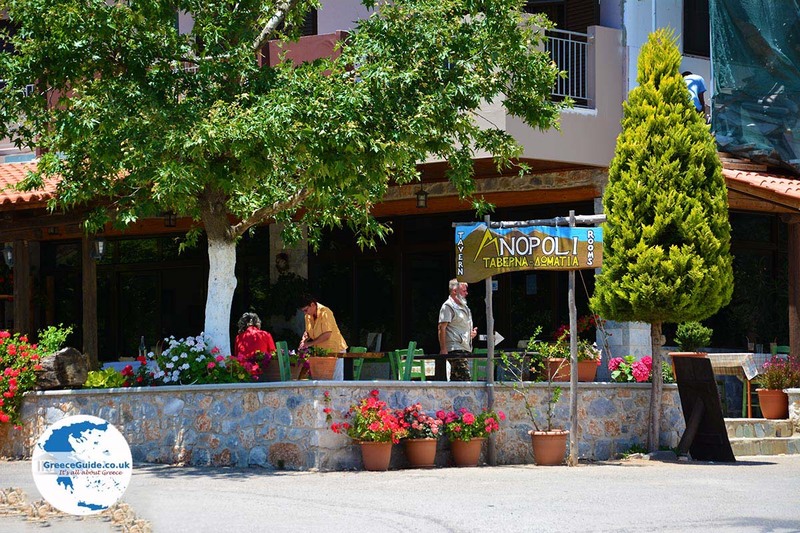 In ancient times, Anopolis was one of the Cretan cities with their own currency. 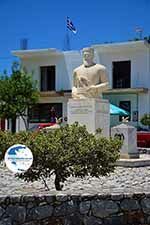 In Anopolis today live about 400 permanent residents. 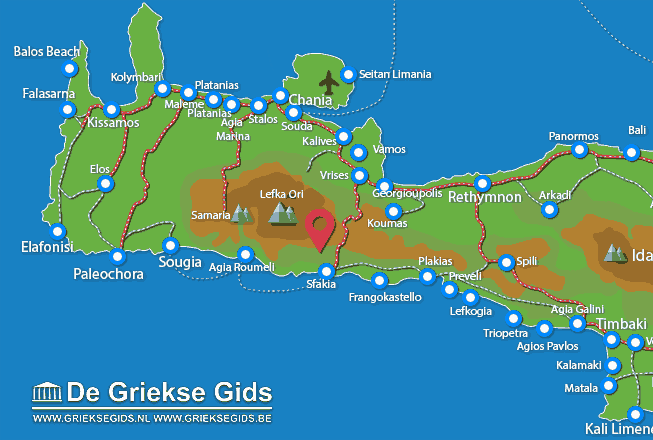 It is located 12 kilometers (about 20 minutes) from the village of Chora Sfakion (Sfakia) .